Which ship name do te prefer? la scelta dei fan: 8-10; Amore them! How do they rank in your THG couples? 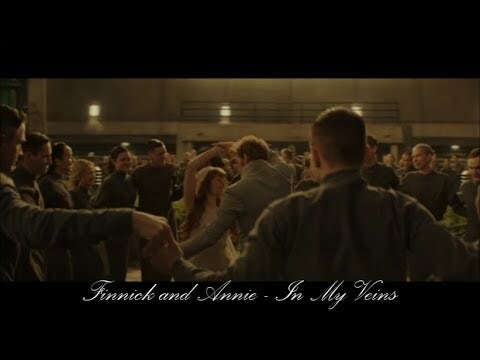 Do te think Finnick and Annie knew each other before her Reaping? I've heard rumours that they might change things for the final film and have Finnick survive. What would te think of that? i know this has got nothing to do with Finnick and Annie but does anyone know how to put in a profilo pic that would be REALLY REALLY helpful if te could thanks!! Assuming that Lionsgate will continue the trilogy, who do think should play Finnick and Annie in the movie adaptations? Where te Devastated when Finnick died? Did te ever wounder what happened to Annie after mockingjay? Well Iwant to hear what te think happened.Did she go insane?Or what?Please Answer!!! Finnick could put a face to Annie's name when she was reaped, but he'd never spoken to her before that giorno for più than passing hellos. Annie and her district partner were the first two tributes for Finnick to mentor alone. Mags was too ill to help much because she'd suffered her stroke a few months before. Annie was the one who made the first move. When President Snow first told Finnick that he'd be sold, Finnick didn't initially believe the threat. As a result, his family died in a rigged accident. I'm sure all/most of us have one of these. Here's mine. In which film is Finnick and Annie's wedding?